After each of my pregnancies (3) I have had post partum thyroiditis and what seems to be alopecia. After some research it seems it could be a gluten sensitivity and so I have been on a gluten free diet for the last two months but it has not stopped my hair loss. Do I need to not eat anything that may be made on the same equipment as wheat? Do I need to be off of cow diary too? I am at a loss and am sad to have major bald spots in the back of my head, side of my head and on top. I wish I did not care but I do. Do I need to heal my gut, and if so how can I? I'm sorry to hear about your hair loss. Don't feel bad about caring how you look. It's just how women are. So, I'm glad that you went gluten free. That's a great start. If it was JUST the hair loss and not the thyroiditis too, then I would think that maybe it wasn't a gluten thing, but it makes it a little more suspicious having both together. But even in Studies of Gluten Sensitive Alopecia, some people grew their hair back after a gluten free diet and some didn't, so there may be more to it than that. It's also suspicious that it began with pregnancy. So, that makes me believe that it's either triggered by stress or nutrient deficiencies. Gluten sensitivity can be triggered by stress too, so that's hard to say. So, some thoughts here. 3 months isn't a huge amount of time to grow back hair. It may have STOPPED getting worse because of the gluten free diet, give it a few months more to know for sure. If it gets worse, then you know that gluten isn't helping. 1) Get your Vitamin D Level checked. There is not a good correlation between hair loss and vitamin d, but theoretically because vitamin d helps absorb calcium, if you are deficient, then Treating Vitamin D Deficiency could help. And I have certainly had a few people write in to say that treating their vitamin d deficiency helped. 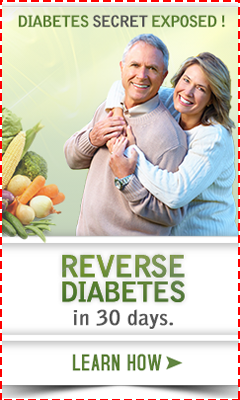 2) Get a Ferritin Level at the same time. This is kind of a 'pre-iron' level and can be low even if you are not anemic. While it's not totally conclusive, low ferritin levels seem to have the only studies that show hair growth correlated with any nutrient. If you are low, then you can replace with iron- but ONLY per your doctor. It's not good to replace iron if you don't need it. 3) Take Lysine. 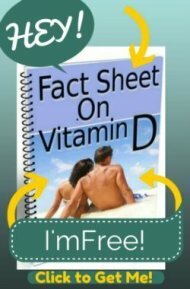 I've covered dosage of lysine on this Vitamin D Deficiency and Hair Loss page here. So take a look. Also, be sure to start eating Bone Broth regularly. It's tasty and has collagen, silica and other good things for hair. When I eat it regularly, my nails get noticeably stronger. One other comment about hair loss too. Even if your doctor says that there is 'No Medical Reason' for your hair loss, be sure that he has checked your Thyroid hormone levels. Most doctors would do this, but check your blood test to make sure. It would show up on your blood tests as 'TSH' or 'Thyroid Stimulating Hormone'. If you do not find this test on your lab sheets, then ask your doctor to check your thyroid. If you DO find the TSH on your test, then look at the NUMBER while ignoring what says 'normal range'. Your TSH should be 3 or less, even though the normal range says 1 to 6. Anything over 3 should have further testing done and make you suspicious of thyroid problems. Doctors will often overlook any numbers between 3 to 6, not aware that a level greater than 3 is NOT at all normal. I wonder how many tens of thousands of people have been told that their thyroid is normal, when doctors are simply using the wrong 'normal' range!! Try Nizoral Shampoo, at least every 3 to 5 days. Eat Prenatal Vitamins if women. A Man should take hair, skin and nail vitamins and do a weekly protein treatment. My hair is growing now. coconut oil has a great record for fixing thyroid problems.... might be worth a try? It can be bought direct frompacific islanders and helps whole communities. Unfortunately, I find the taste too strong so I get coconut cream in tins, and love it! My endocronogist said that hair grows in cycles, and what you do now won't cause hair to grow for 6-9 months. Maybe it will take time to see if your new diet has a good effect. I wish you the best. I was recently diagnosed as gluten intolerant and I'm hoping my new GF diet will make my hair grow back too. I am on a Gultin Free Diet, a nd having issues with coffee. And also working on Dariy Free products too! What a mess!! !